The 2018 TechCrunch Startup Battlefield MENA is TechCrunch’s inaugural startup competition in the Middle East and North Africa. - Exposure that comes from pitching to the global TechCrunch audience as well as the live audience of distinguished technologists, entrepreneurs and investors in Beirut. - The overall winner will receive US$25,000 in no-equity cash plus an all-expense paid trip for two to compete in Startup Battlefield at TechCrunch’s flagship event, Disrupt 2019. August 31, 2018: Finalists will be notified. October 2, 2018: In-person rehearsal will be taking place. 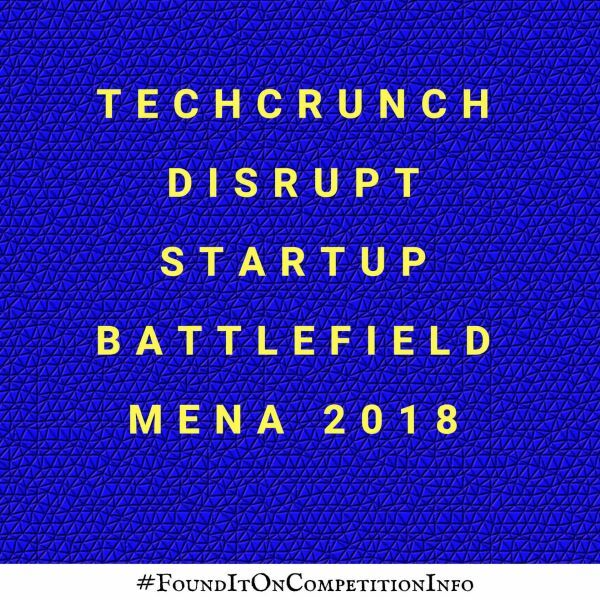 October 3, 2018: The inaugural Startup Battlefield competition MENA will be taking place in Beirut.